Charles Edwards was born and raised in Wilmington, NC, where he currently resides. Most of his inspiration comes from this area. 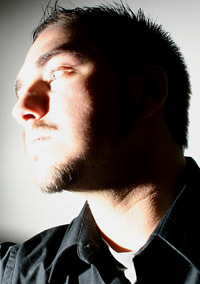 In December of 2005, he began shooting bands in local venues; practicing different styles and lighting techniques. Under a stage name, he was well known to the local music community. Meeting aspiring models at these venues, he received many requests for help with their modeling portfolios. Another branch of photography was soon to grow. Charles's ability to adapt quickly to anything he does, allows for many different styles in his art of photography. Since he doesn't specialize in one particular area, his clients always receive photos tailored to their specific tastes. His "can-do" or "let's try it" attitude has landed him many clients with abstract thoughts such as his own, making the "see, point, and shoot" method, a thing of the past. In 2005, Charles began working with a well-known local photographer learning what's to be expected of a wedding photographer. As well, how to go above and beyond the call of duty. This helped him advance his own career in photography as well as gain not only a mentor, but a great friend in the same field.